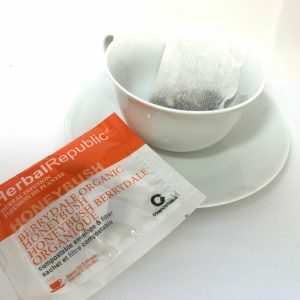 Now to you get our compostable teabags with the outer pouch or without. They are also available with plate cards. 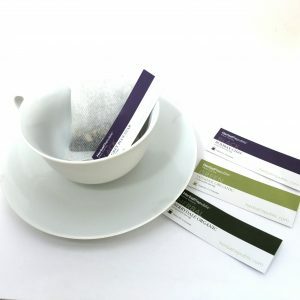 When serving our teabag in a teapot or mug, please offer your customers a plate card for the ingredients, infusion instructions and our environmental message. We thank you for helping us reduce packaging and allowing us to make our necessary packaging backyard compostable.